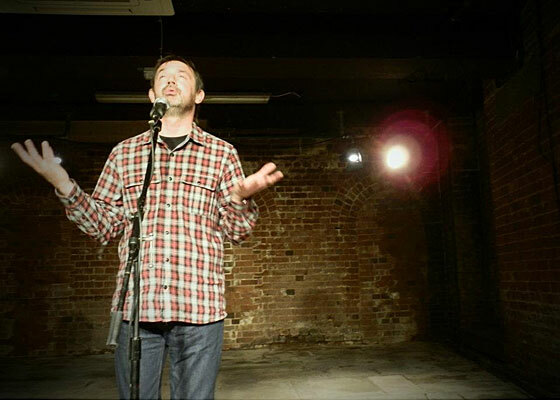 Tim King is a spoken word artist and event host based in Exeter, Devon, UK. "For me writing and performance is all about connection: both internally and with the audience. My work is rooted in personal experience and strives to combine simple language with playful humour to communicate with audiences directly. The immediate aim is always to delight and entertain. My deeper intention is to touch souls and encourage questioning, healing and peaceful revolution." Tim performs regularly at open mics, poetry nights and festivals, both in the South West and further afield. His festival appearances include WOMAD, Cheltenham Literary Festival, Glas-Denbury, Rest and Exeter Respect. His multi-disciplinary show Returning the Dark Stare was featured as part of the 2013 Exeter Ignite theatre festival. Tim also played a leading role in Bryony Chave-Cox's Spectacular Vernacular in the 2014 Barnstaple Fringefest, appearing alongside Chanje Kunda, Robert Garnham, Jack Dean, Ian Beech and Daniel Haynes. Since 2011 Tim's commitment to supporting and developing emerging talent has been served by his stewardship of Taking the Mic: a monthly Open Access event at Exeter's Phoenix Arts Centre which he organises and hosts. Since 2012, Tim has also co-run the annual Exeter Poetry Festival Slam with Morwenna Griffiths. Tim has won slams in Exeter, Totnes, Plymouth and Frome and appeared on-stage alongside many of the UK's finest spoken word artists, including: Matt Harvey, Chris Redmond, Salena Godden, Hollie McNish, Joelle Taylor, Jonny Fluffypunk, Rebecca Tantony, Sally Jenkinson and Liv Torc.